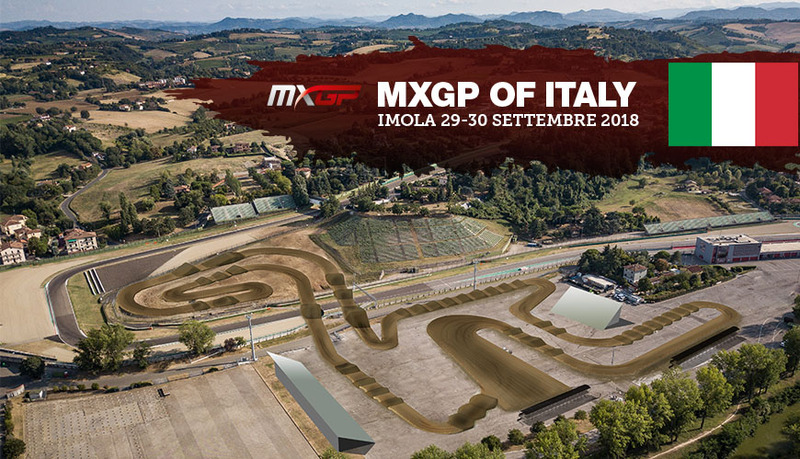 On the 70th anniversary of the first international MX race in Italy, held in the “Acque Minerali” Park, motocross returns to Imola with the last round of the MXGP World Championship. 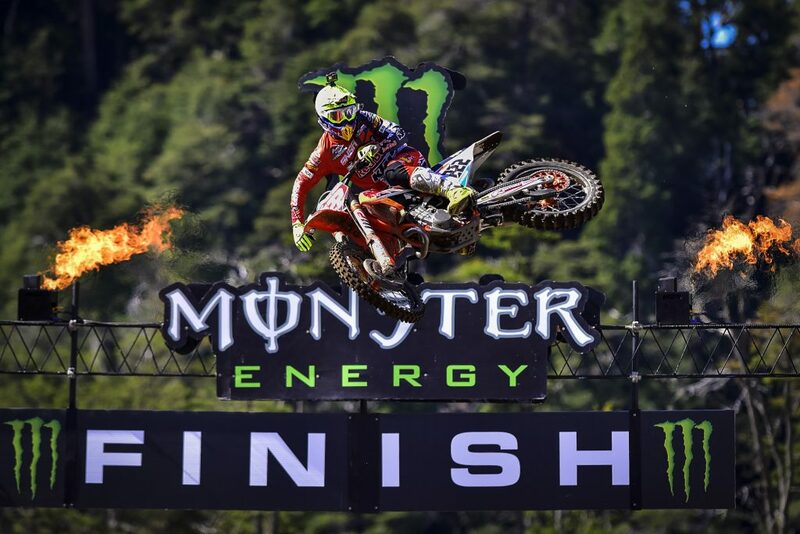 On the track built between the Paddock and the legendary Rivazza Hill, Tony Cairoli, nine times World Champion, Jeffrey Herlings, Tim Gajser, Romain Febvre, Clement Desalle will be sporting battle in what is defined by all the main event of the season for off-road enthusiasts. A great event that will see on track also the protagonists of the MX2 and the Women’s World Championship, where the spotlight will be on the five-time world champion Kiara Fontanesi. To complete the program the categories of the European 300 and the international final of the Yamaha 125 Trophy. Do not miss the exhibition on the Terrace of the Checco Costa Museum from Friday, September 28 with the motorbikes that have made the history of the cross and Saturday 29 the historical parade with the great champions of the past. Where is the Campsite / Camper Area? What are the prices? There are showers, toilet services and electric hookups. A section of this area is for campers. Where can I buy pre-sale tickets? What are the current promotions? 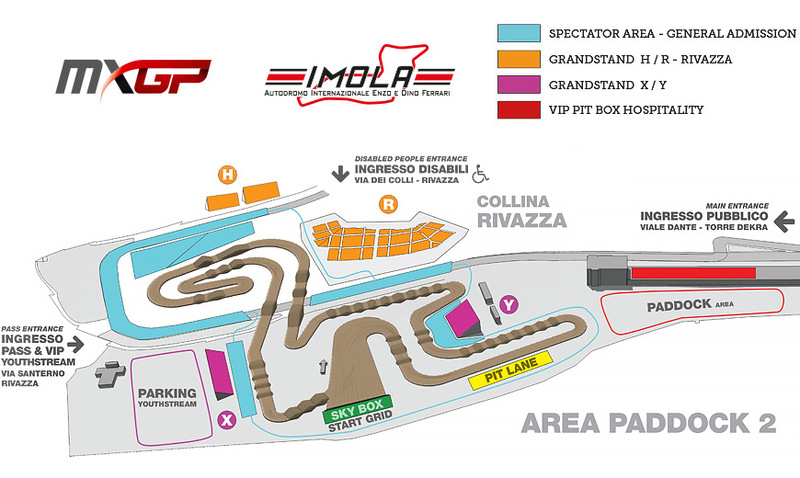 Tickets can be purchased online on imola.motocross-tickets.com and www.ticketone.it and at all Ticketone local sales points ( find the nearest sales point ). Up to what age do children enter for free? Minors enter free of charge up to 12 years of age, only if accompanied by an adult. From 13 to 16 years a reduced ticket can be purchased online or at the event box office. Are disabled people entering for free? those who need a place reserved for those with motor disabilities, where can they access? The area reserved for disabled people (with motor disabilities and not) will be set up in the R – Rivazza Tribune, where the reserved parking area near the entrance (via dei Colli) will also be available. Disabled people with accompanying certification and their companion can access the event for free. Disabled people without accompanying certification can access the event free of charge while the accompanying person pays the regular admission ticket. How to access the Paddock and on which days? Where to buy the Paddock ticket? Access to the paddock is charged on Saturday and Sunday. The Paddock surcharge can be purchased in advance only at the ticket office of the Enzo and Dino Ferrari race track, or in the event’s box office starting from the morning of the same day and only if you have any other access title. The cost of the supplement is 10.00 euros for 1 day Saturday or Sunday and 15.00 euros for the Weekend. Can animals and / or dogs enter? Access to animals is not permitted. Only guide dogs can be accessed for people with visual impairments. Where are they and at what time will the box office open on the day of the event? Those who purchased through online pre-sales must present themselves with the printed PDF tickets so that they can be read by the Barcode scanners. Where is the main entrance for the public? Where are the parkings? The only access for the public is from the Viale Dante bridge / P.zza Aytron Senna da Silva (google maps) , the box office for the onsite ticket offices will be set up in P.zza Aytron Senna da Silva; those already in possession of the ticket will be able to enter via a special lane directly at the entrance under the DEKRA Tower for the barcode scan. 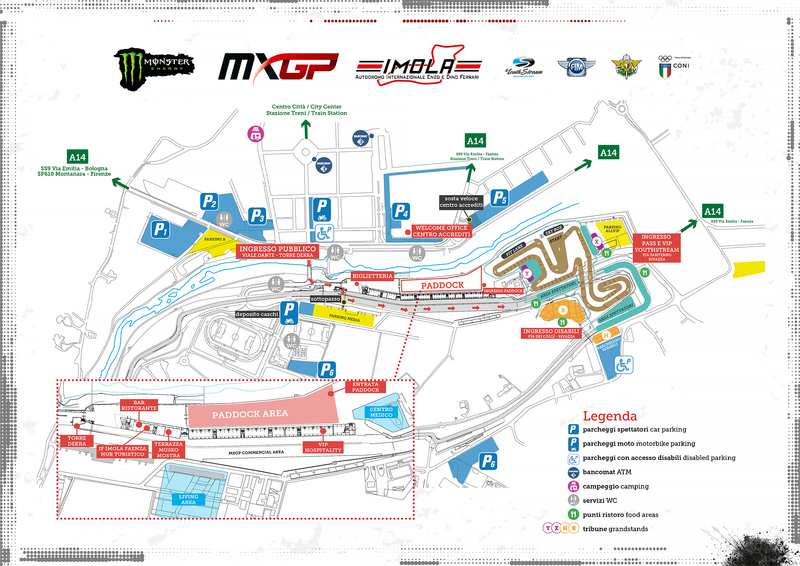 Entrance to the Paddock for the public will be within the MX track area. Paid parking lots will be available near Viale Dante, Via Graziadei and Via Pirandello (Riverside / Famila). Where do the disabled people enters? Where are their parkings? Access to the disabled area in the R-Rivazza Tribuna is from the entrance of Via dei Colli, where reserved parking will also be available. Disabled people can pick up the tickets and the car sticker directly at the entrance of the R-Rivazza Tribuna in via dei Colli where there will be a special welcome office. Where do Staff, Media TV, photographers, journalists and YouthStream guests enters? Where are their parkings? Staff, Media TV, photographers, journalists and YouthStream guests will be able to access both from the Rivazza entrance (via Santerno) and from the Paddock entrance (Piazza Ayrton Senna). Parking MEDIA is in Via Malsicura (near America Graffiti Restaurant) direct access to the paddock is through the central grandstand tunnel. Parking VIP YOUTHSTREAM is in Paddock 2 Rivazza entrance from via Santerno. Where is the Accreditation Center? What are the opening days and times? Accredited journalists and photographers must present themselves, with an identity document, at the welcome point to pick up their pass, while, if previously granted, they will be able to collect the bib for the access to the track in the press room. YouthStream Guests must also go to the Welcome Point with an identity document that matches the name communicated to the relative contact person. Passes will not be given to persons other than those indicated in the list and / or without documents. Accredited disabled people who have confirmed the presence and sent the documentation will be able to collect the tickets and the car pass directly at the entrance of the R – Rivazza Tribuna in via dei Colli where a welcome desk with special personnel will be present. Where can I ask for tourist information or to book a hotel?